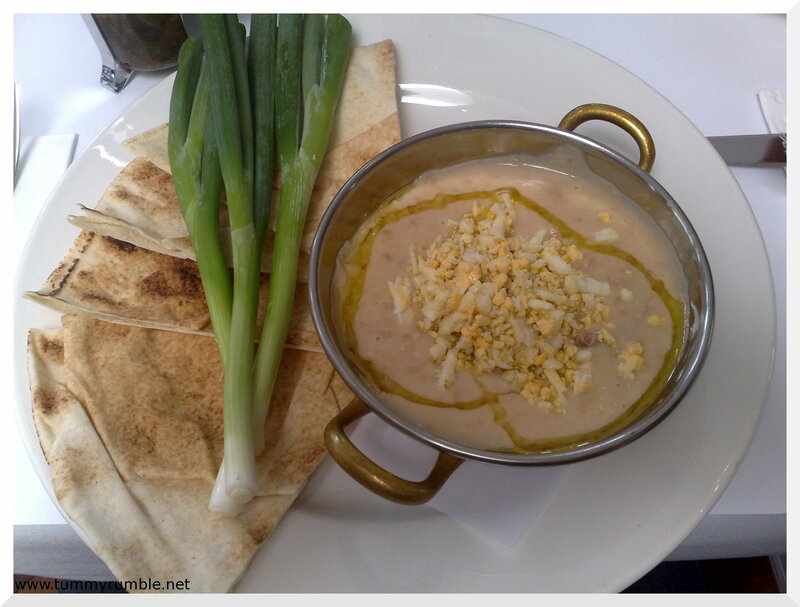 Balmain, how I love thee, because Adriano Zumbo resides there and so does Kazbah! I’ve been wanting to go here ever since I’d heard of it, but hadn’t managed it until now. My first impression of the restaurant is fantastic, sitting on a corner, with big open windows on to the footpath and gorgeous decor, it’s a lovely space, but I soon realised it’s shortcomings. It’s very, very noisy. We had difficulty speaking to each other across the din. You would think that with the wooden floors etc, that they might put some kind of dampening/baffles to cut the noise down, but no such luck. Being of Middle eastern background, I am somewhat more critical of food claiming middle eastern influence and as mentioned in another post, I judge these restaurants based on their handle of the basics such as hoummous and baba ghanouj…In this case, being brunch, it wasn’t the right time of day to try these things, so I went with a super traditional dish instead. Ful Medammes, again as mentioned in another post, is a very old fashioned, traditional breakfast staple, and one that evokes memories of my mum soaking dried broadbeans overnight and then putting them in the pressure cooker for a long time, then mushing through the mouli! So seeing this on a restaurant menu is a little weird to say the least! At Kazbah, the basic dish is sexed up a little with the addition of chickpeas, and the obligatory egg…the way this dish is best eaten is with a slurp of oil, crushed garlic, lemon and cumin, then scooped up with bread…I wasn’t exactly sure what I was meant to do with my spring onion though? This was probably one of the most heartwarming, satisfying dishes I’ve eaten for a long time. Food and smell are really meaningful to me, and this dish just got to me in the nicest way possible. It won’t ever live up to my mum’s homemade version or the kind you buy from the guy on the corner in a busy suburb of Cairo, but it’s pretty good! The veggie version leaves out the lamb mince and sucuk (sausage variant) and replaces with pumpkin and fetta in addition to the capsicum, onion, spinach, tomato and egg…This smelt great, and T finished off pretty quick.. I really enjoyed my meal and catching up with my gorgeous friends, the only criticism I had being the level of noise in the restaurant inhibiting conversation. Otherwise, I’ll be back for one of those tagines! 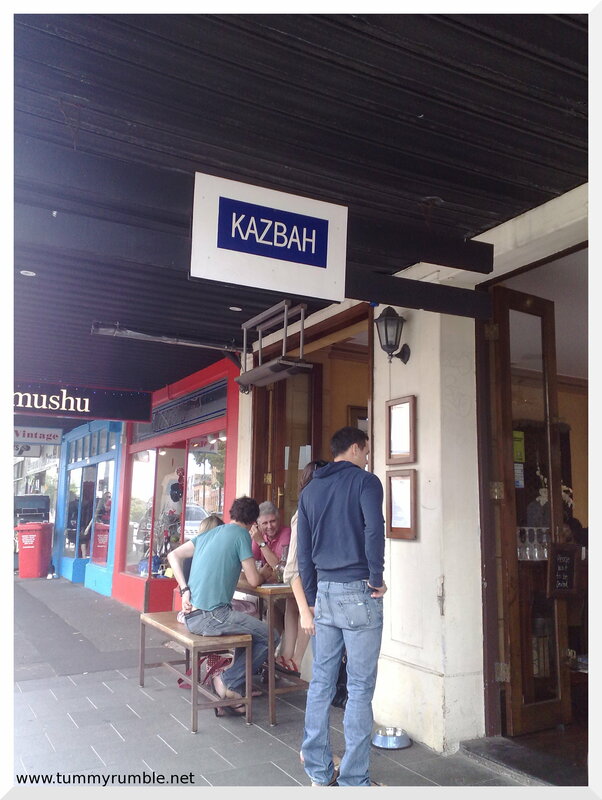 I luv Kazbah, but you get the noise at all the restaurants along Darling St. My tip is to seat near the back. Or try dinner – less traditional but still yummy. 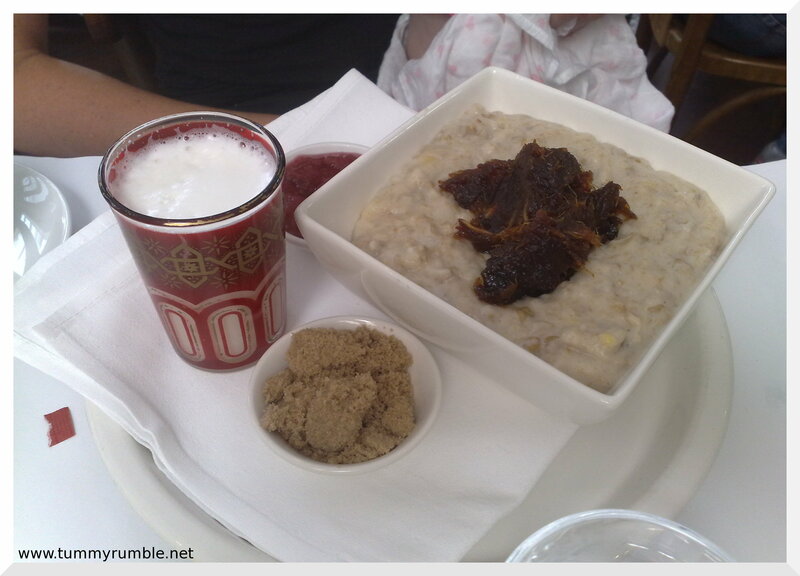 wow, that porridge looks even more enormous in that shot! Lovely to see you, as always, and I very much enjoyed reading your review. I will have to find somewhere else in the inner west to go with you so my meals can be famous! Oooh I had the breakfast banquet there-it’s a must try! You just need to get 7 other people for it and it’s only $20 a person and you get sooo much food. 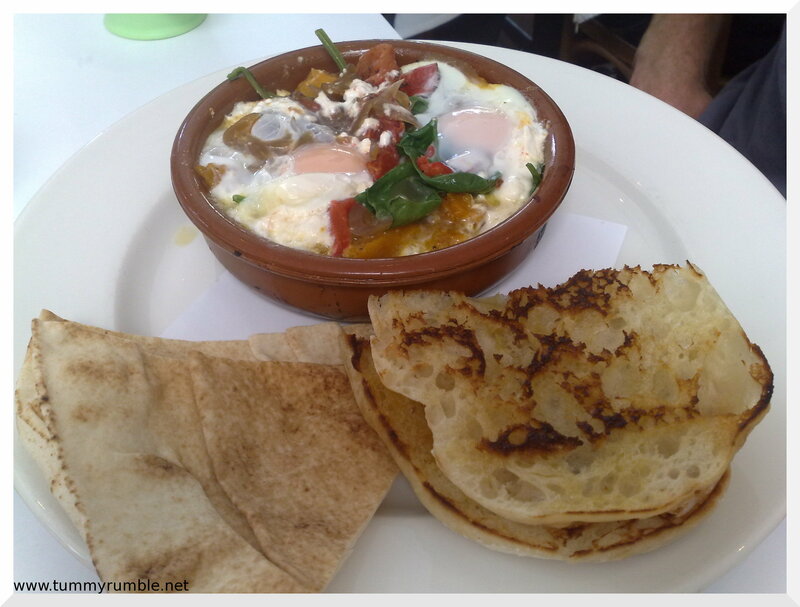 Like one of the best breakfasts you could ever get in Sydney. That ful looks great! Although the spring onion is pretty strange…!